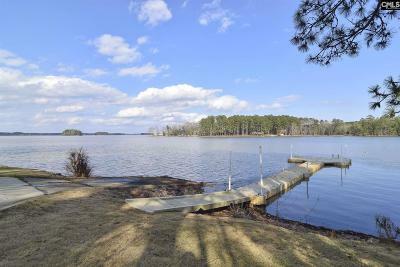 661 Braner Ct, Leesville, SC is on a .62 acre deep water lot on Lake Murray in Lexington County in the midlands of South Carolina. 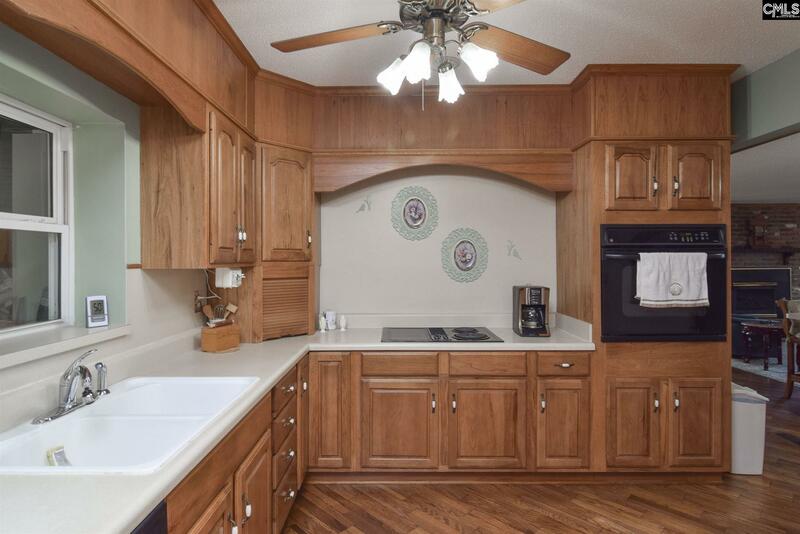 There are numerous attractions near 661 Braner Ct for residents and visitors alike. Timberlake Country Club, the only golf course located ON Lake Murray is a short boat ride across the lake. It is open to the public, and they have an excellent restaurant, The Purple Martin Grill, onsite. 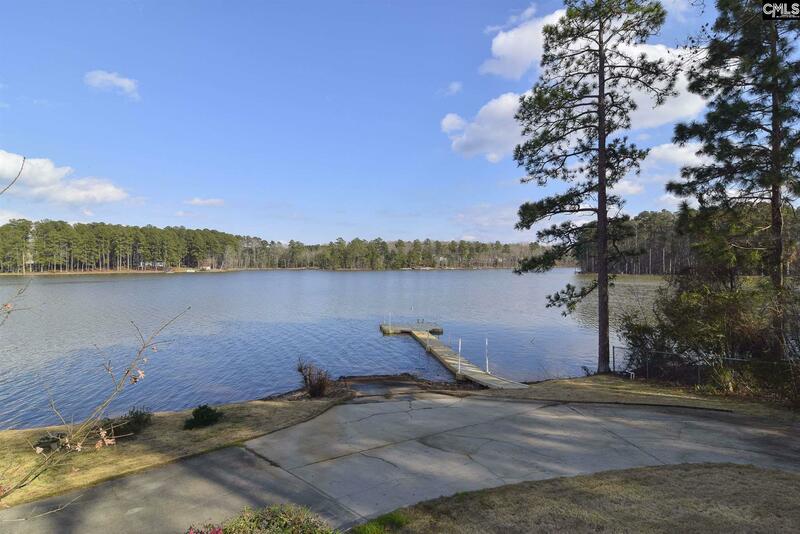 Other nearby golf courses include Ponderosa in Batesburg and Lexington Country Club. 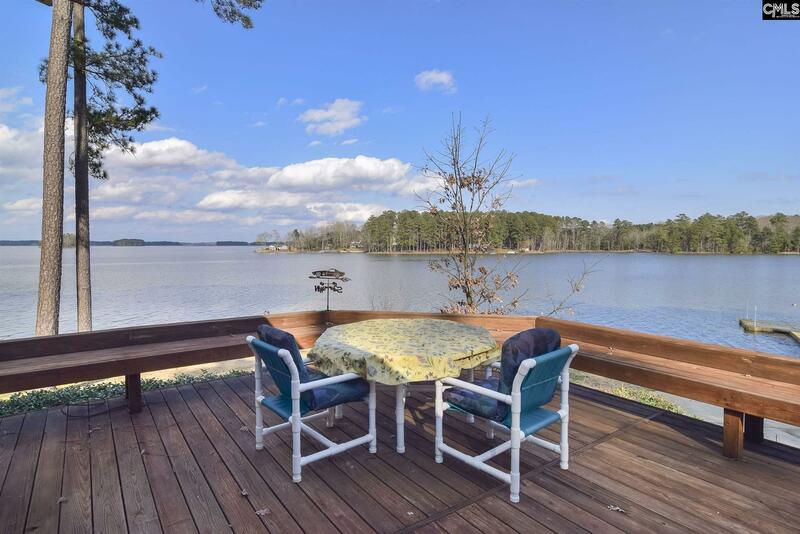 It is located 45 minutes from Lexington Medical Center, Newberry, SC, or the Columbia Metropolitan Airport and only 2 ½ hours from the sandy beaches of South Carolina or the Blue Ridge Mountains of North Carolina. 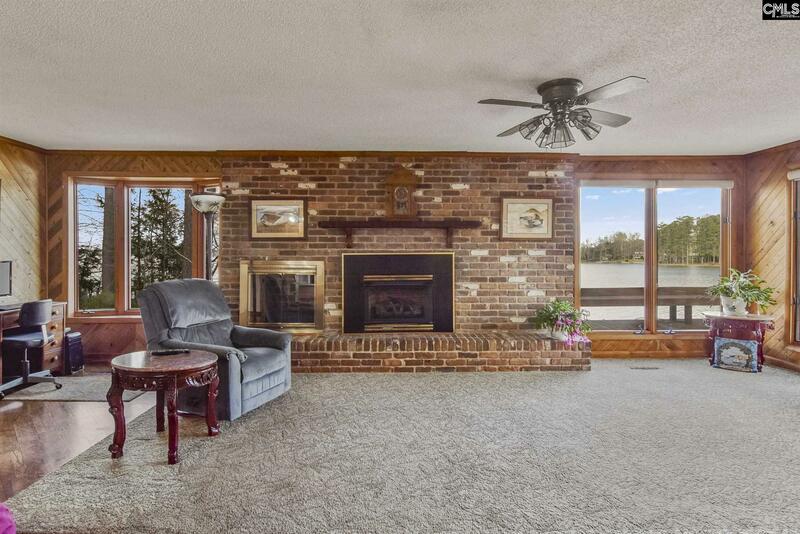 This property is zoned for Batesburg-Leesville schools in Lexington School District Three. 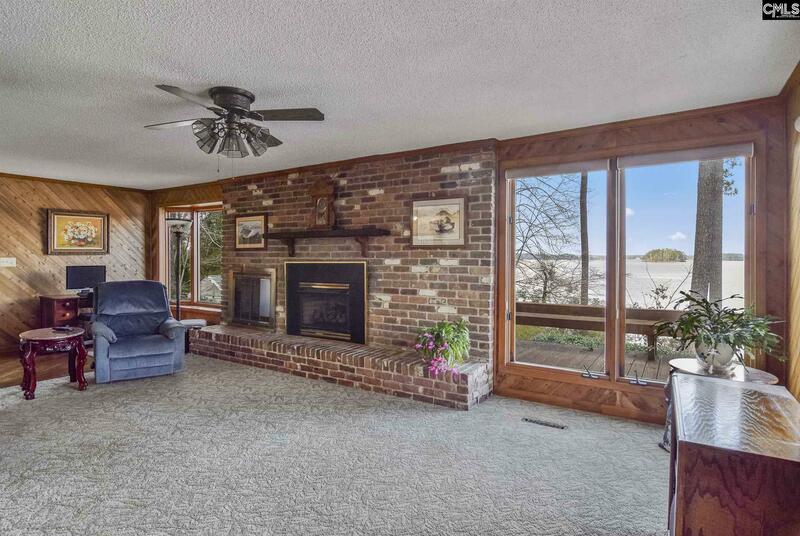 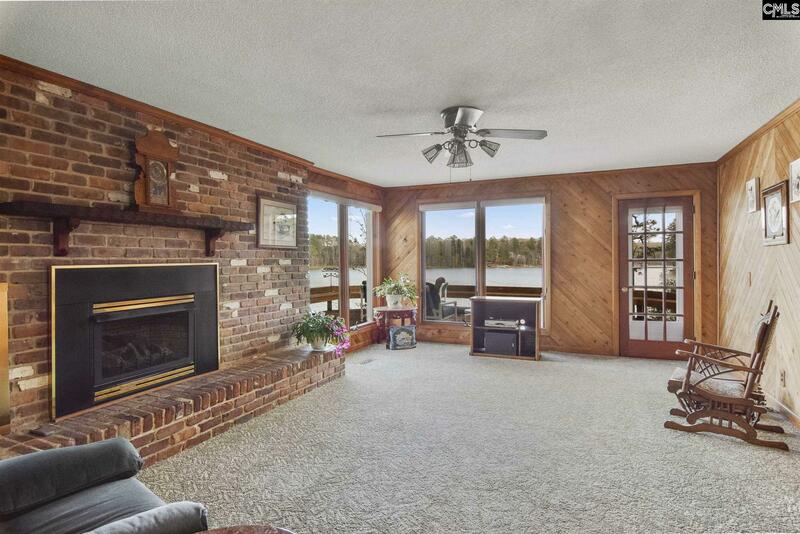 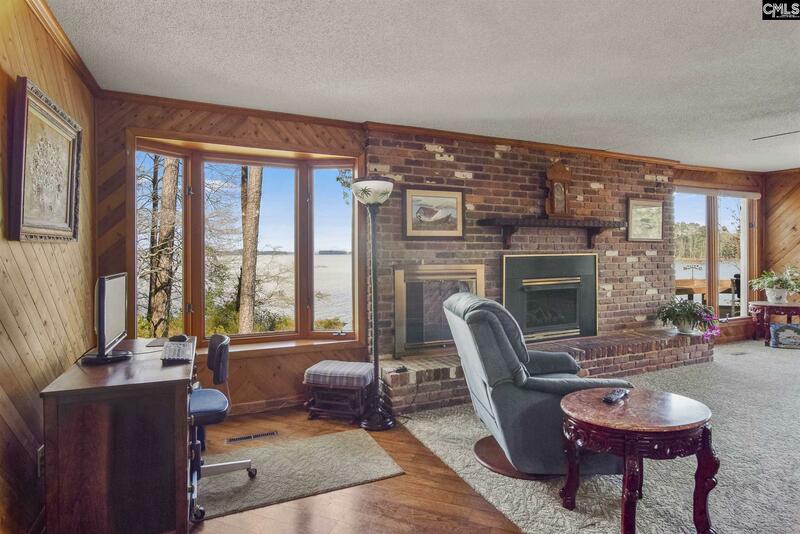 This approximately 1700 square foot, 3 bedroom, 2 bath brick ranch home sits on a point lot that is fully fenced and offers panoramic big water views. There is 150 ft of deep water frontage, a large PVC EZ dock, concrete driveway with boat turn-around and an extended ramp. When the water level in Lake Murray was drawn down to build the new dam, this seller could still get a boat into the water! 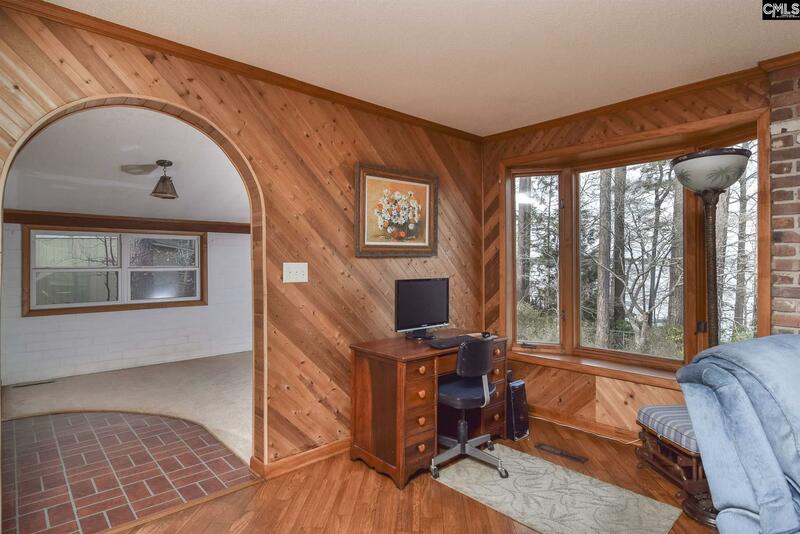 The home is on a private well and septic tank. 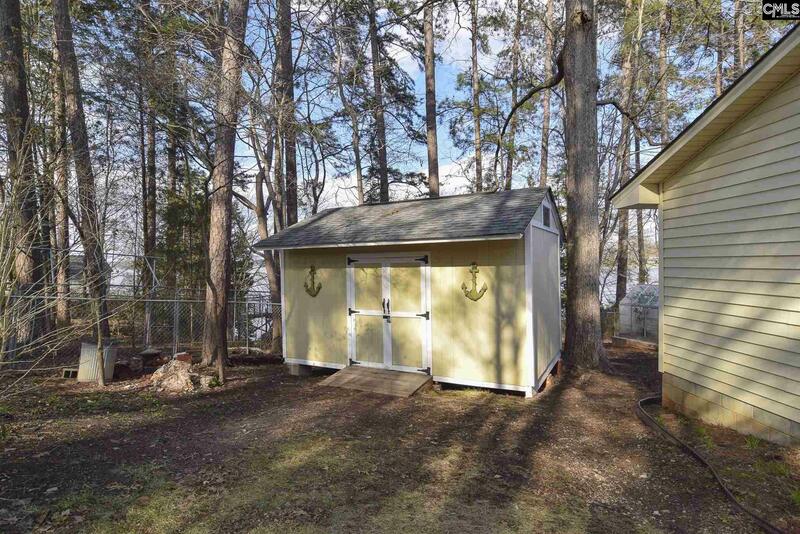 There are two storage buildings, one custom built in 2016, with extra high walls and painted to match the house. 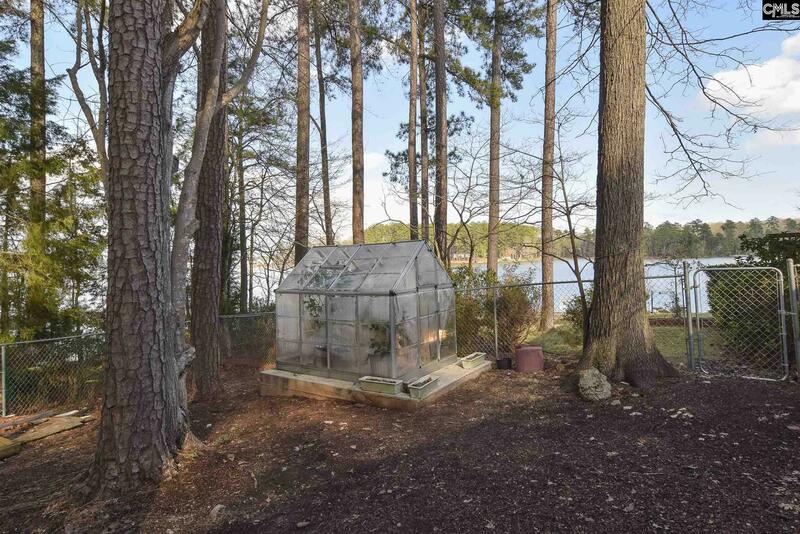 There is also a greenhouse, erected in 2017, for the hobby gardener. 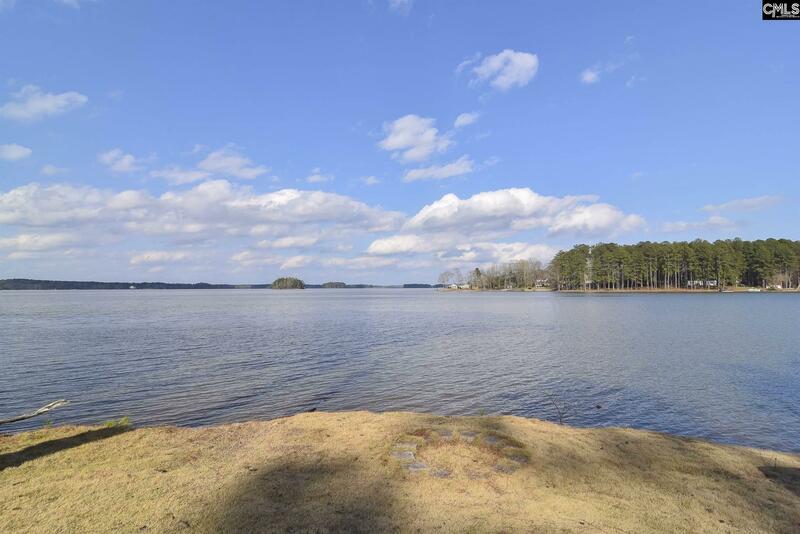 There is lake-drawn irrigation with a new pump in 2015. 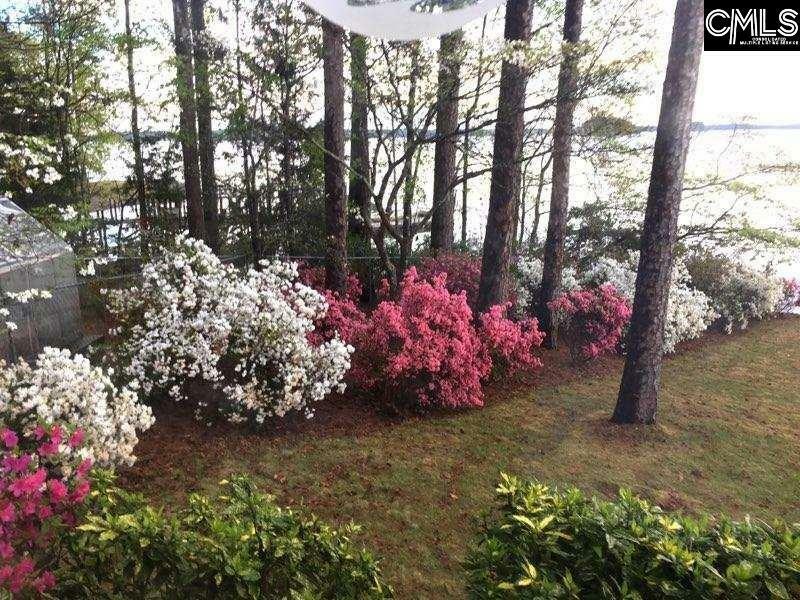 The yard has zoysiagrass on the lakeside, and it is full of beautiful roses, dogwoods, azaleas, yellow day lilies, hydrangea, and other flowers. 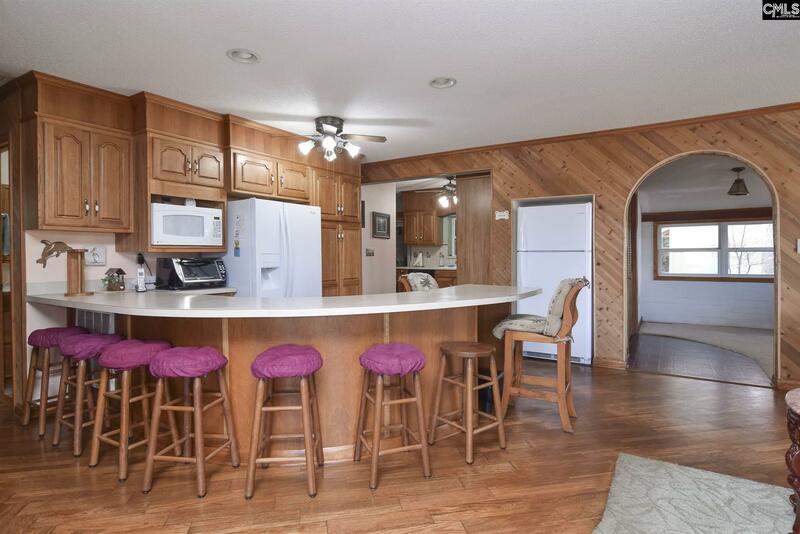 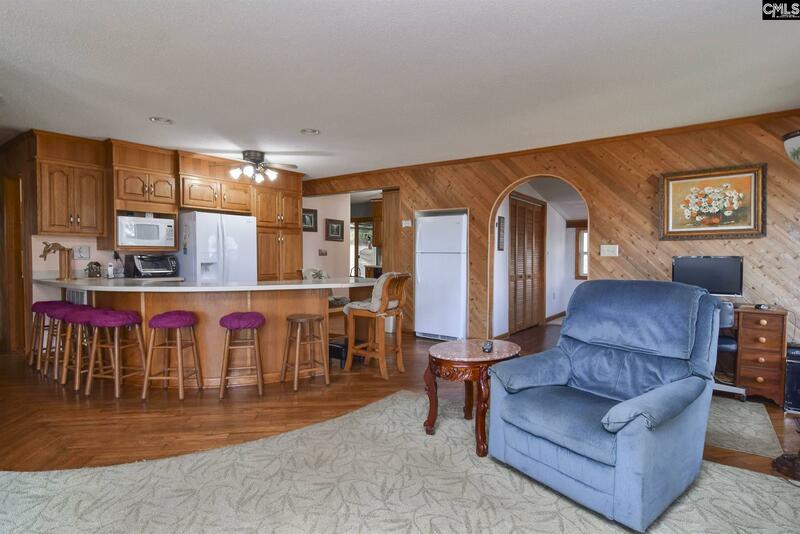 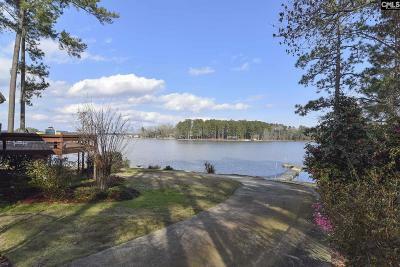 661 Braner Ct home has a 3 car garage large enough to fit a full size bass boat. 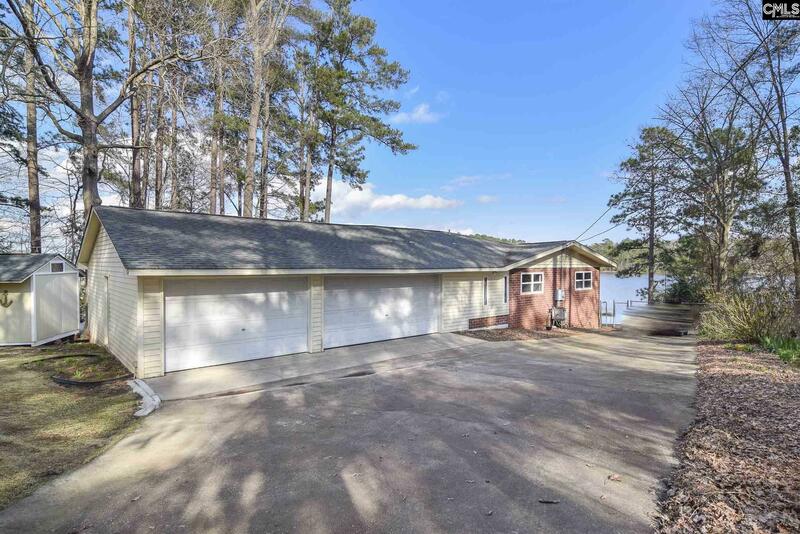 The garage has service entry door and lots of hooks and racks for storage. 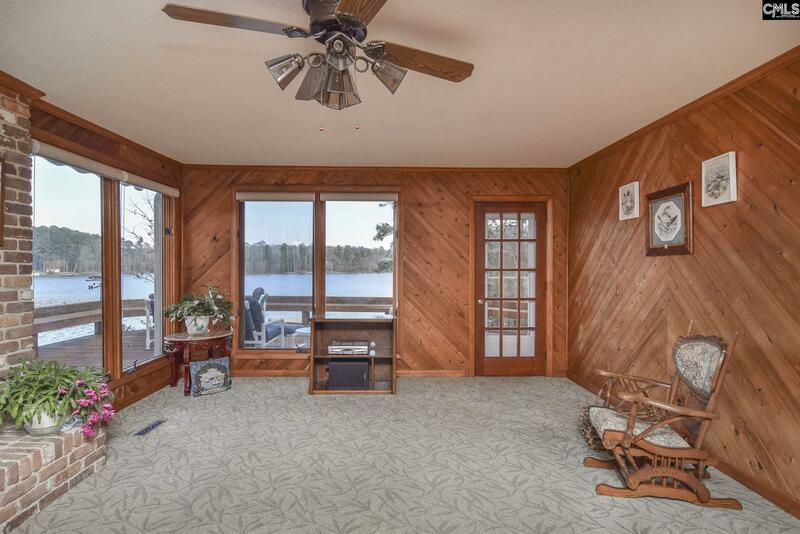 The work bench does not convey, though, as it has sentimental value to the seller who has called this oasis home for the last 38 years and has manuals for all items included with the house. 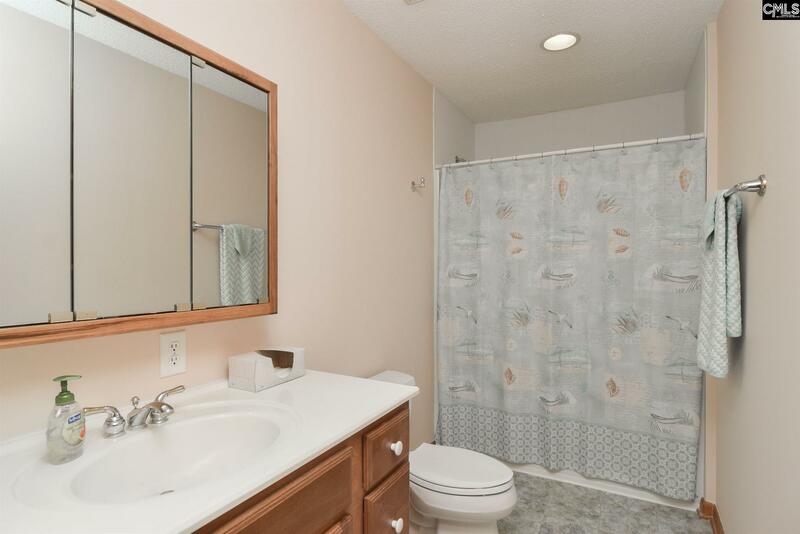 The 80 gallon water heater was new in 2014 and central heat and air replaced in 2015. 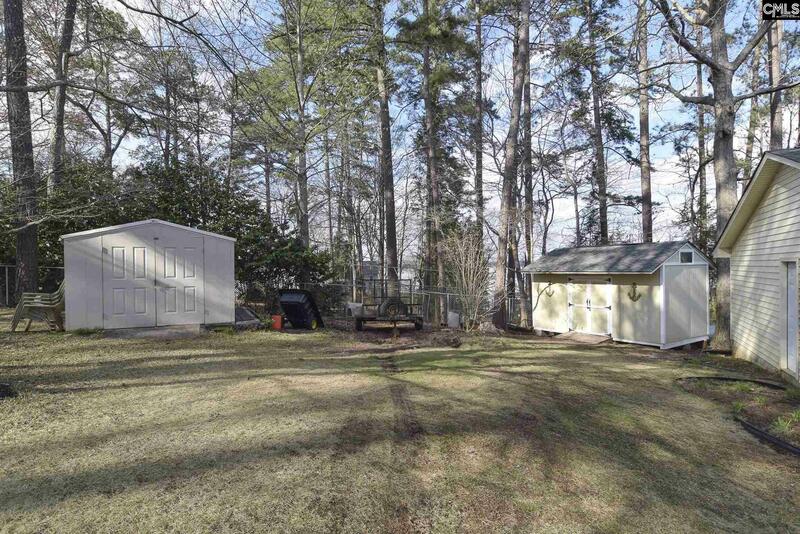 The roof was completely redone with new plywood and 30-year shingles in 2010. Mid-Carolina Electric Cooperative supplies electricity. 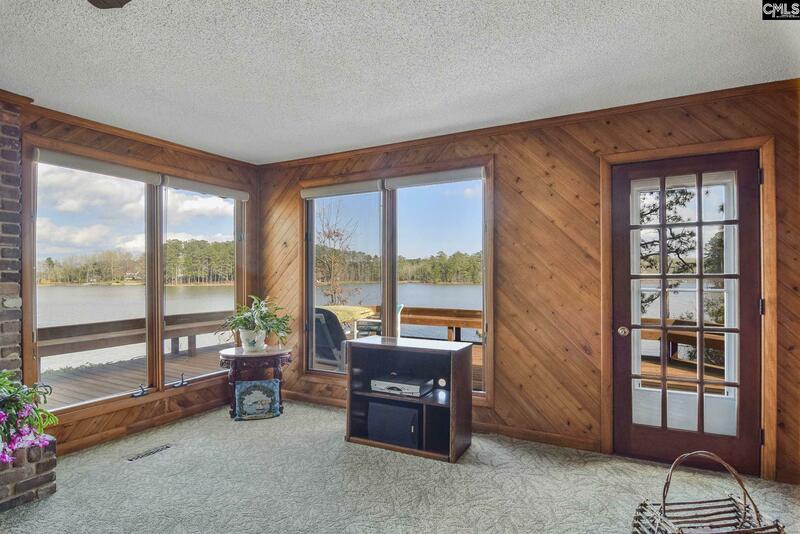 There is a leased propane tank from Palmetto Propane which provides gas for heat and fireplace logs. 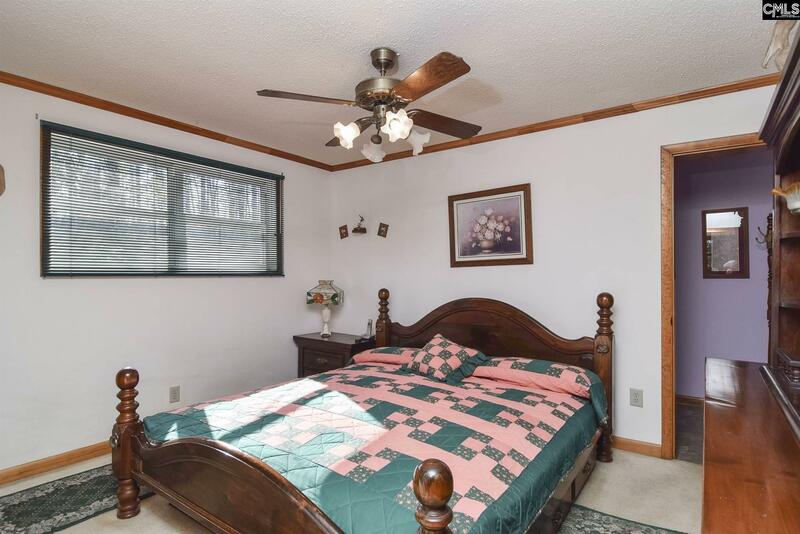 Inside, the master bedroom has a large private bath with two vanities. 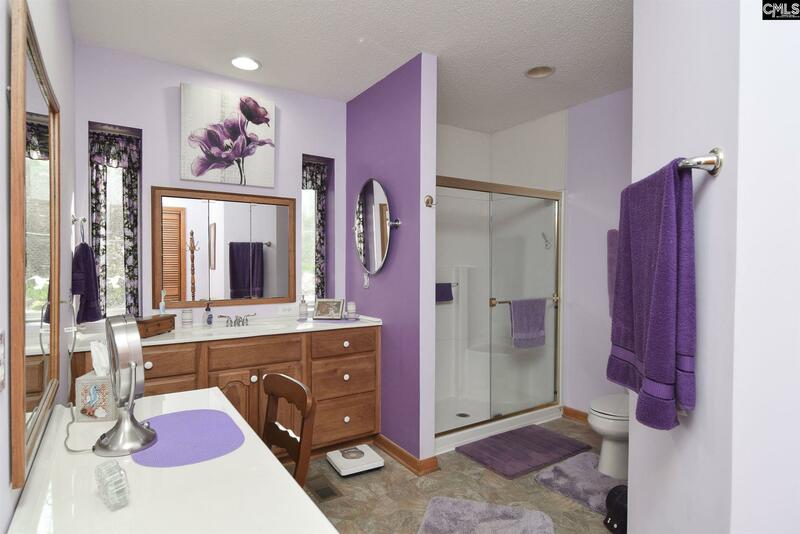 It has his and hers closets. 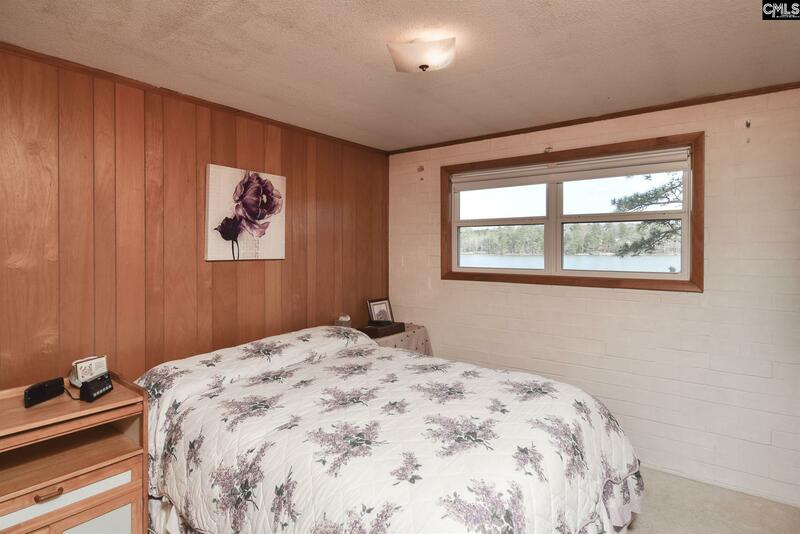 Two bedrooms share a bath. 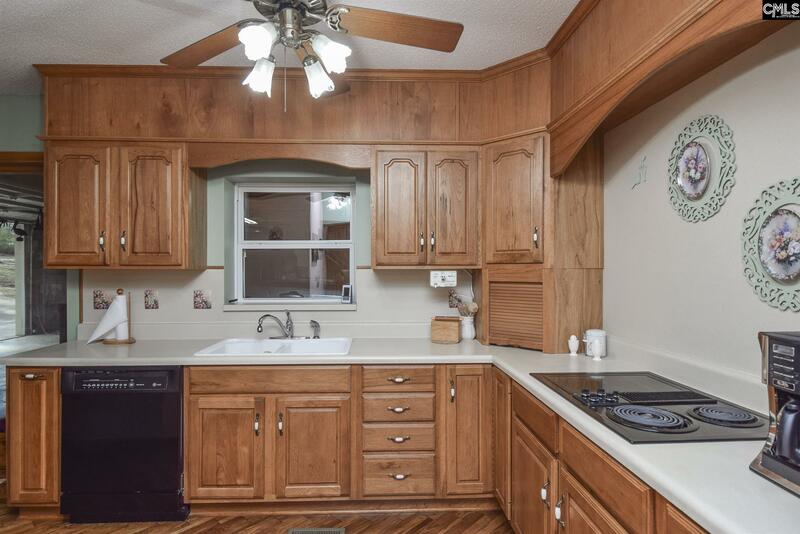 The kitchen boasts hardwood hickory cabinets including a spice pull out cabinet, lazy Susan, and two pull-out drawers, a large wall oven, counter cooktop with both smooth surface and radiant burners, grill and downdraft, two refrigerators, new in 2015 & 2018, a bar, hardwood floors, and wall pantry. 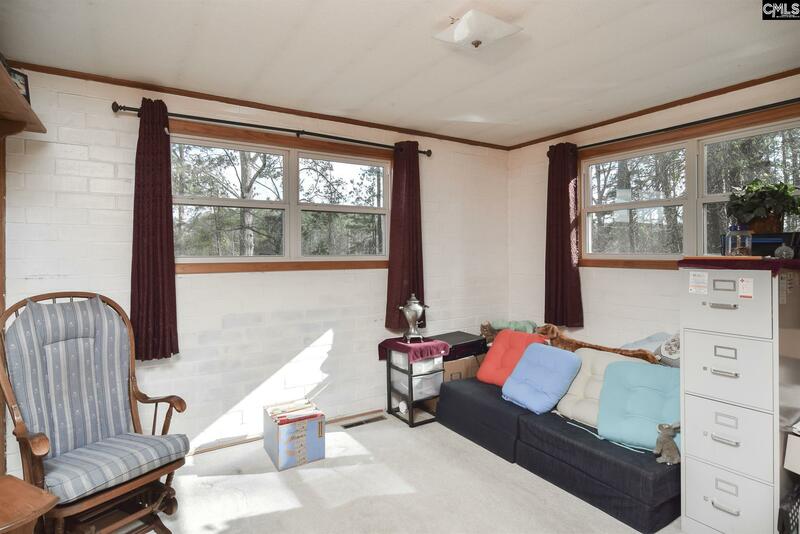 All appliances convey, including dryer, new in 2016, and washer.The living room has big windows and a massive brick fireplace. 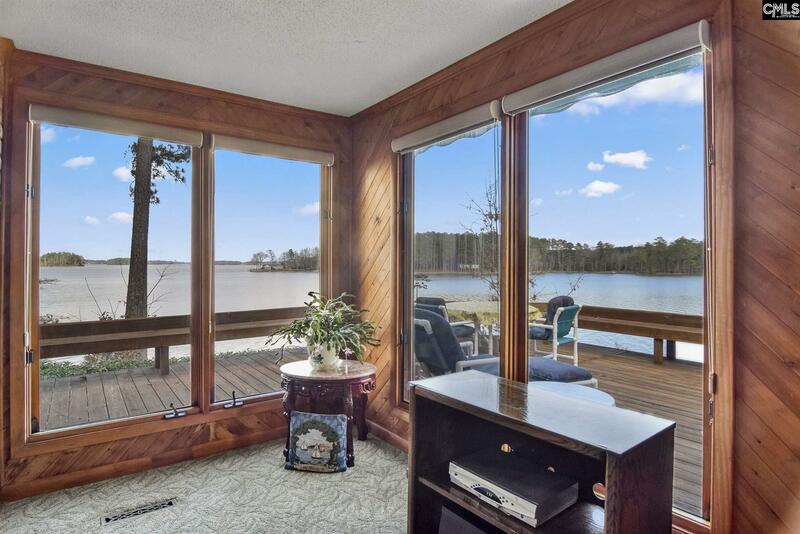 Walk out of the living room onto the expansive deck which has bench seating all the way around and Sunsetter deck awnings. 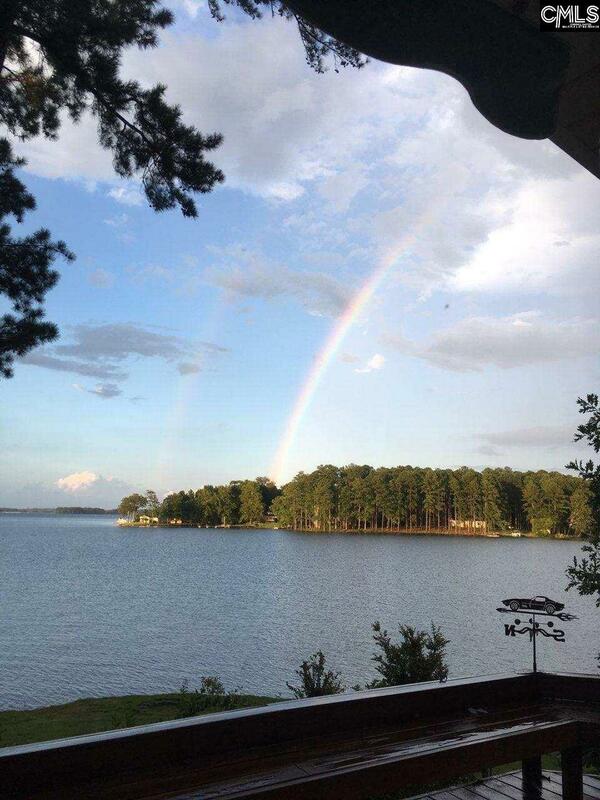 With over 500 miles of shoreline and 50,000 acres of recreational water, Lake Murray, known as the jewel of South Carolina, is home to many annual events including professional bass fishing tournaments, sailing regattas, Tour of Homes and Independence Day fireworks displays. 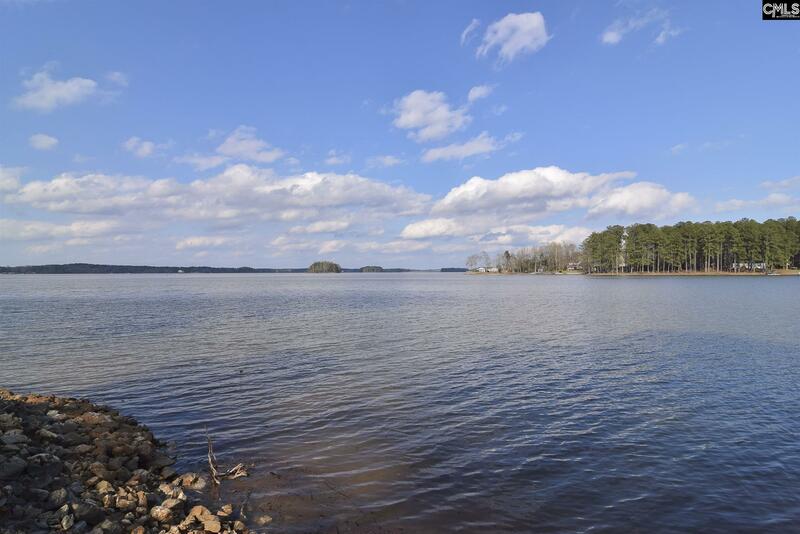 With an average temperature ranging from 56 degrees in January to 92 degrees in July, Lake Murray visitors and residents enjoy a perfect climate for year-round outdoor recreation. 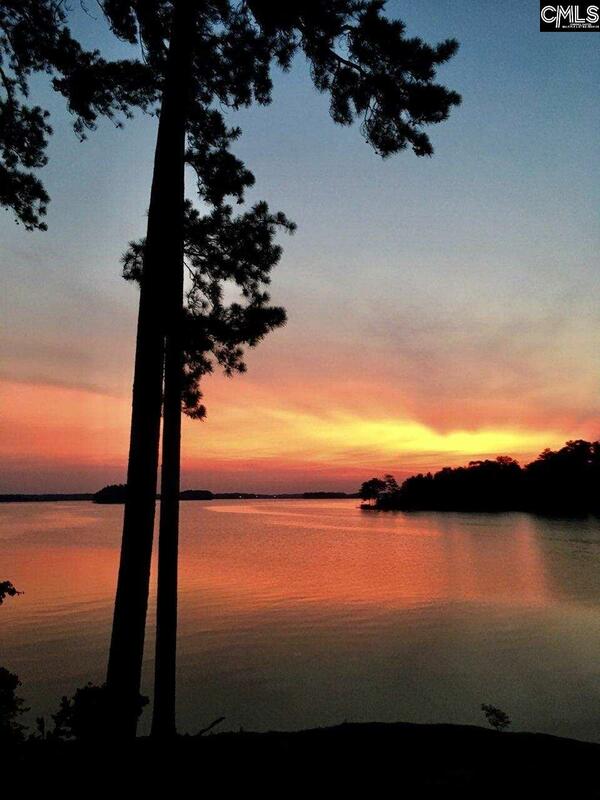 Fishermen (and women) fish for large-mouth bass, striped bass, crappie and catfish. Popular water sports include skiing, wake boarding and paddle boarding. 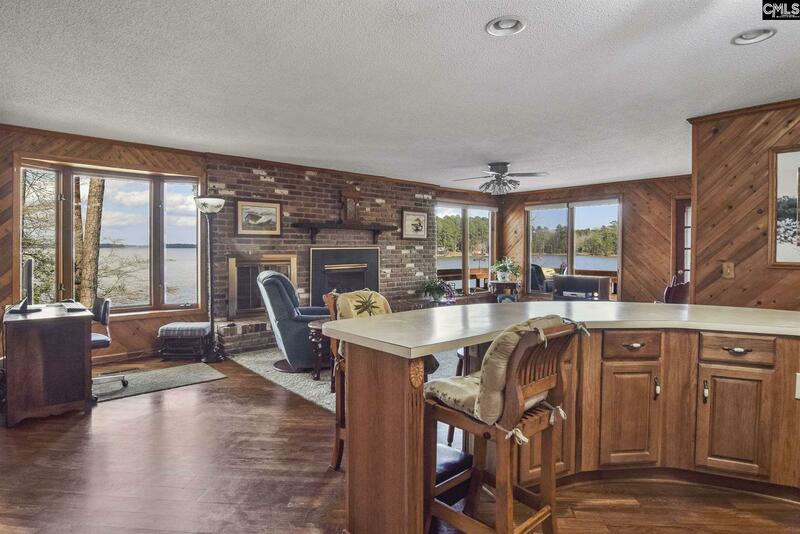 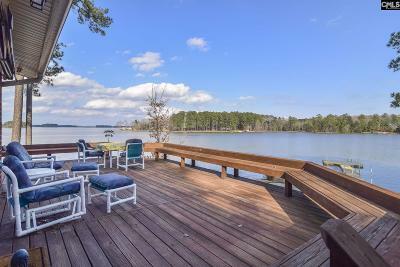 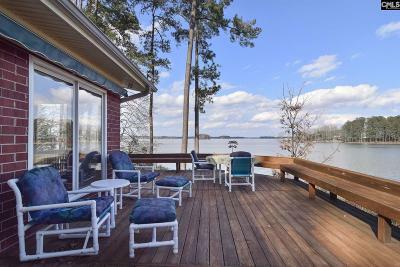 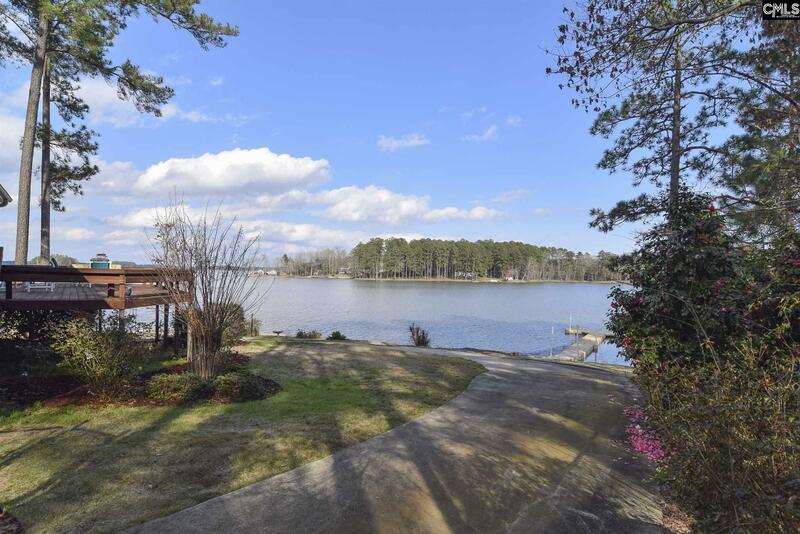 Make 661 Braner Ct, Leesville, SC on Lake Murray your home or use it as a vacation rental. 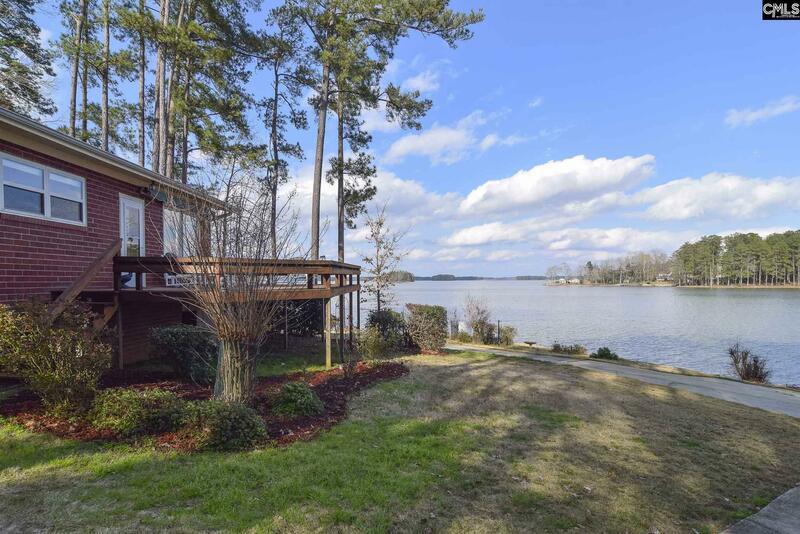 Property is being sold “As-Is.” Call or text Sallie @ 803-707-8595 or email SallieChester@EXITrec.com to schedule an appointment.